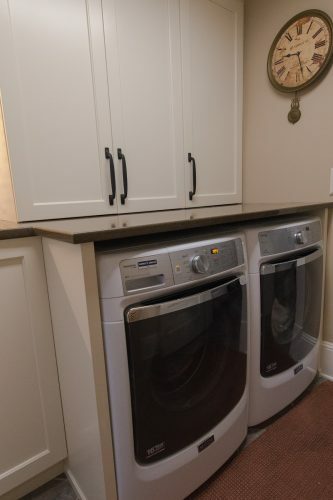 Even though laundry is a daily chore, laundry rooms are an often neglected part of the house. Shouldn’t a space you use frequently get the same care and refresh as the rest of your home? 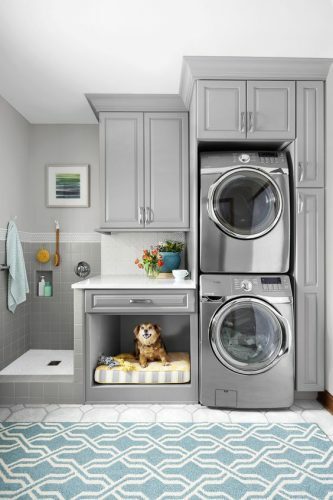 An efficient, well-designed laundry room can make your washing chores less of a chore. Starting from scratch? Step one is to pick your laundry room placement. For most people, a smaller laundry room is better than a larger one. You can move between sorting, washing, drying, and folding with only a step or two, creating a more efficient process. 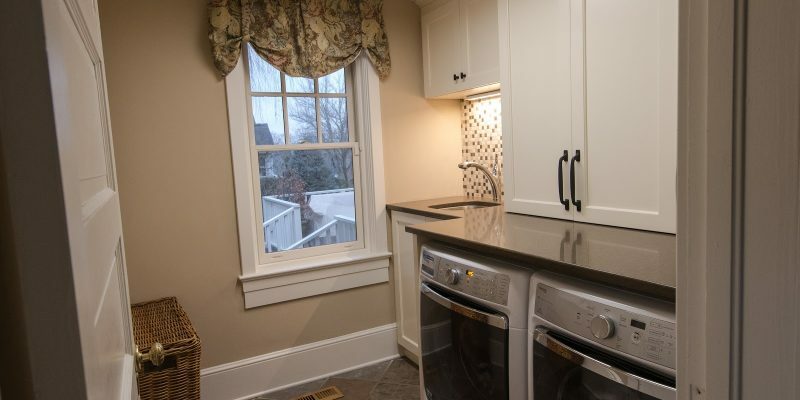 If you prefer to do laundry during the day, you may want a window or two to provide some natural lighting. Many people choose to combine their laundry room with their mudroom, bathroom, or even kitchen! Even if they share the space, you can keep your machines concealed with a door. Plan your laundry room according to your individual wardrobe needs. If you have a weekly load of delicates or line-dry clothes, installing a drying rack or hanging line might be a necessity. If you like to fold your clothes when they’re fresh from the dryer, you’ll want that extra counter space and a place to store laundry baskets. If you have pieces that need ironing, a built-in ironing board and nearby outlet could serve you well. Your individual needs can, and should, shape your room! You’ll have to choose between front-loading appliances or top-loading. If ample counter space is important to you, consider front-loading; you can tuck the machines beneath a countertop to add some extra folding or stain-treatment space, and that barrier will prevent clothes from falling in the cracks. Front-loading machines can also be stacked to free up more square footage. Don’t forget about the sink! A sink makes it easy to hand wash delicate garments or rinsing. Look for a deeper basin so you can soak clothes as well. 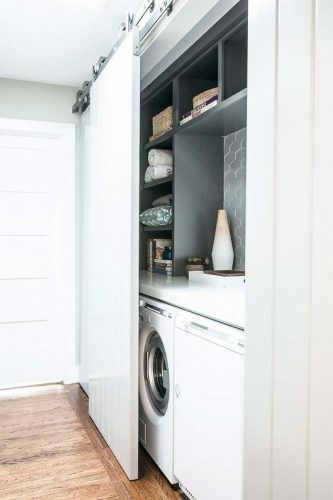 Just because it’s a laundry room doesn’t mean it should be boring. If you’re going to be there at least once a week, it should be enjoyable! Style your space with bright walls, appealing floors, and fresh decor to make it a space you want to use. If you have the space, including chairs can make it more welcoming, as well as give you a place to sit & fold if needed. If you think it’s time to show your laundry room some love, contact us today! We’re more than happy to work with your individual needs and budget to make a space that’s perfect for you.